A revolutionary new 3D digital brain atlas « Adafruit Industries – Makers, hackers, artists, designers and engineers! 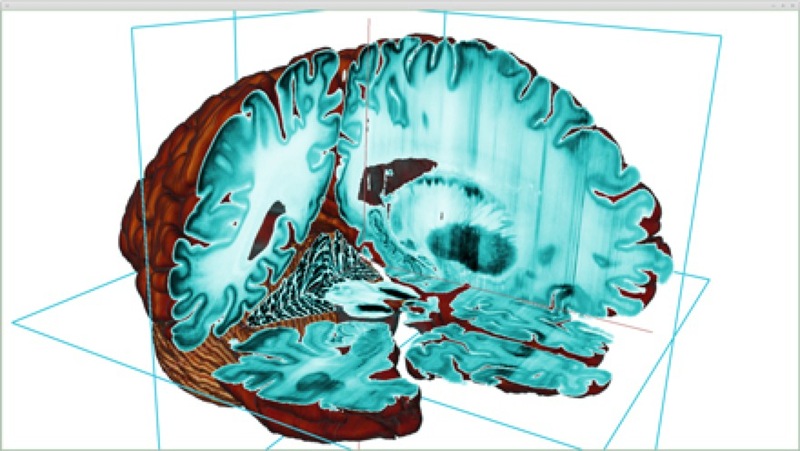 A revolutionary new 3D digital brain atlas. Imagine being able to zoom into the brain to see various cells the way we zoom into Google maps of the world and to look at houses on a street. Although the brain is considered the most complex structure in the universe with 86 billion neurons, zooming in on it is now possible thanks to a new brain atlas with unprecedented resolution. BigBrain is the first 3D microstructural model of the entire human brain, and is free and publicly available to researchers world-wide. The results of the BigBrain model, created at the Montreal Neurological Institute and Hospital of the McGill University Health Centre in collaboration with researchers at Forschungszentrum Jülich, Germany, are published in the June 20 issue of Science.